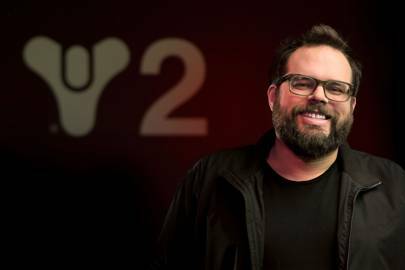 The director on Destiny 2, Luke Smith, has stepped forward to tell Guardians that while Activision may have expressed unhappiness with the sales of Forsaken, Bungie is extremely happy with how it has sold. Smith took to Twitter to say that Bungie set out to create a Destiny 2 that players would love, and that the developers would love. This is what they believe they have achieved with Forsaken, and as such they are extremely happy with the state of the expansion and the sales. In a recent earnings call Activision told investors that Destiny 2 was underperforming, and that the recent expansion hadn’t met their expectations. They went on to discuss how by offering Destiny 2 for free on PC from the 2nd of November until the 18th they seek to re-engage more core players who are on the fence about Destiny 2. They believe there is a core demographic of players of Destiny 1 who are waiting to see if Destiny 2 is worth investing in now Forsaken has released. It’s refreshing to see the developers of Destiny 2, Bungie, making a stand against the publisher, Activision, and actually standing up for the game they love. Many people think that Destiny 2 is a game made to bleed Guardians for money through DLC and microtransactions. While that may have been the case in Destiny 1, or at least seemed like it, Destiny 2 is a far superior game in the way it handles monetisation. With Activision looking at new ways of monetising Destiny 2 it’s only a matter of time before we see the effects. Eververse is already a constant presence in the Tower, one which actively flashes at every Guardian when they land there. Anything that’s more in your face than Eververse is going to get in the way of gameplay, and that’s what made microtransactions harm Destiny 1. Just what kind of new monetisation options Activision is considering haven’t been expressed. But if anything more prevalent starts to come into the fray Guardians won’t be happy. The simple fact is that with the DLC model games don’t make as much money as publishers want them to. The reason World of Warcraft has so many returning players is because they all pay a monthly subscription and receive free updates. Yes, they still pay for the expansions, but they’re more invested in the game than those lapsed Destiny 2 players. Hopefully we don’t see a change in the model of DLC releases in Destiny 2. Forsaken is such a great addition to the world and the game has never been better. Let us know your thoughts in the comments. Thank you very much! We will!